What is Far Cry Arcade? Jump into Far Cry Arcade and enjoy infinite Far Cry experiences built by a robust community of creators. Play by yourself, with your friends, or even against them (up to 6 vs 6 players), in this thrilling game mode where the possibilities are limitless. 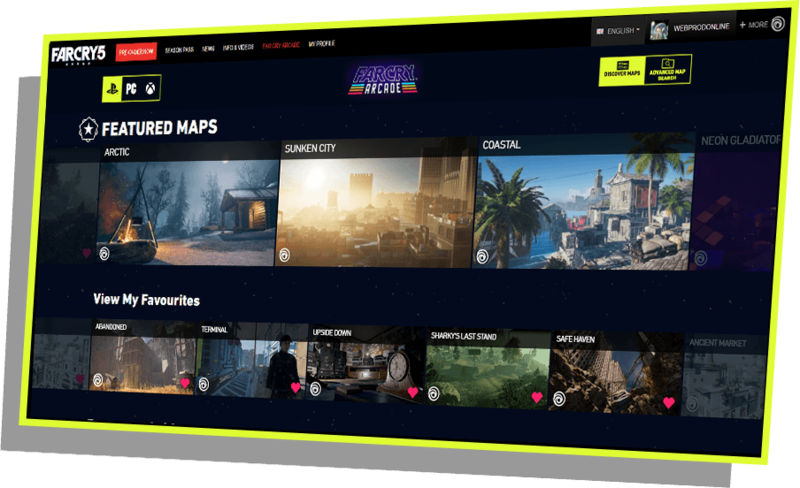 Get access to a curated selection of the best maps among all created content. Feeling like discovering more content? 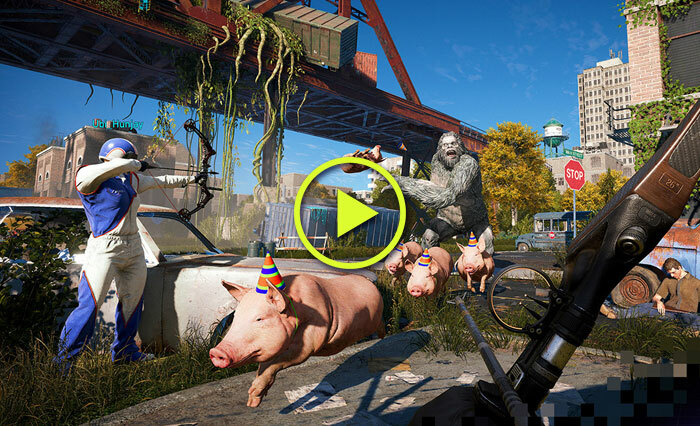 All Far Cry Arcade maps created in-game are available for you to browse. Select your settings and find the right content for your playstyle. 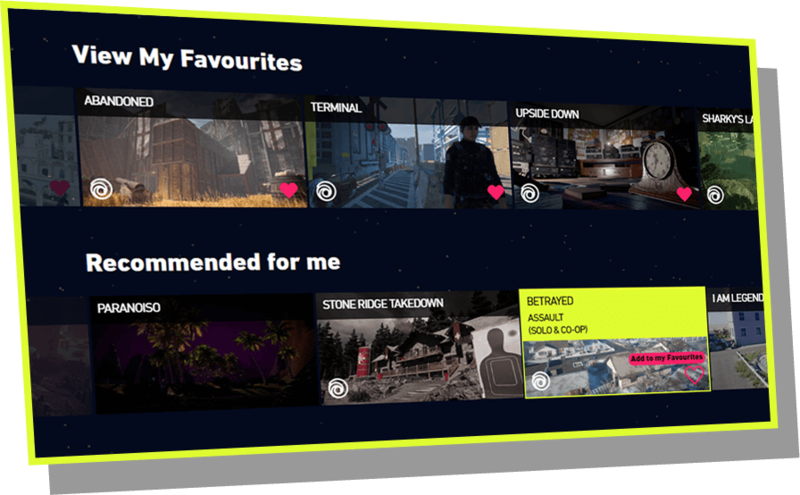 Any map can be added to your favorites list and will be directly available in your in-game playlist. Favorite a map, share it with your friends and get ready for your next game session. and compare your results with friends. New to map-making? We've got you covered with a in-depth map-maker guide with clear step-by-step instructions for all platforms. Looking for more news and info on Far Cry 5, including Live Events and other announcements? Click here for more!